Member of the Board of Directors of MPC Properties, Tijana Vujovic, and the mayor of Belgrade, Sinisa Mali, laid down the foundation stone for the new A+ commercial facility Usce Tower Two today. This marks the beginning of the realization of another project of the company MPC Properties. The value of the project has been estimated at around EUR 65 million. 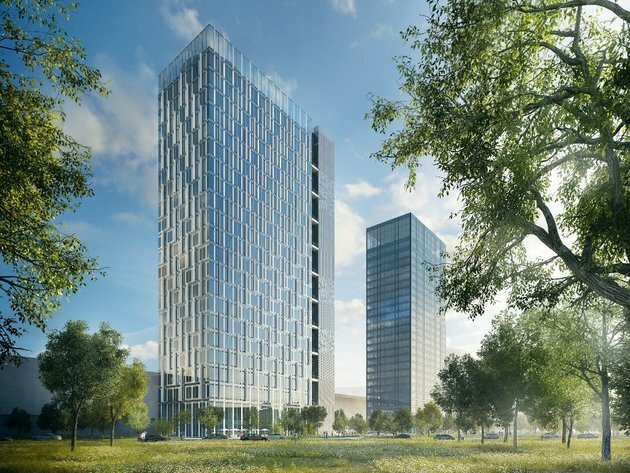 Located on the confluence of the Sava into the Danube, Usce Tower Two will be well connected to all parts of the city, MPC Proprties says. Designed as an A+ commercial facility, Usce Tower Two will have 22 floors and a lease area of 23,200 m2. The system of natural ventilation, in addition to the remarkable flexibility of the facility, is a special advantage. The facility will also feature an underground garage with a net area of 21,000 m2 and 740 parking spaces. 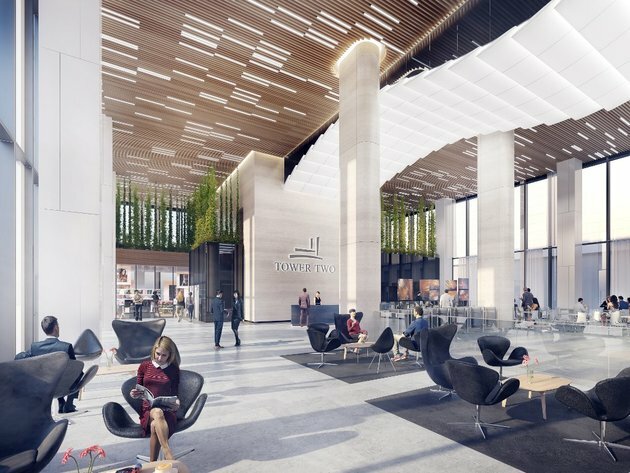 – The commercial building will be raised in line with the highest standards of green building, and the end goal is to provide the employees with a new level of workplace comfort – stated Tijana Vujovic, member of the Board of Directors of MPC Properties. Mayor Sinisa Mali pointed out that the new Usce tower would change the look of this part of the city entirely and that Belgrade would get twin towers such as those in big European and world financial centers, such as Frankfurt, London and Amsterdam. In addition to top quality office space, Usce Tower Two will offer a spacious green oasis in front of the business center. Usce Shopping Center and the Museum of Contemporary Art are in close proximity to the location. As MPC Properties says, Usce Tower Two is another important investment in the company's portfolio, in addition to Usce Shopping Center, Usce Tower and business center, Navigator Business Center, IMMO Outlet Center, Shoppi Retail Parks in Subotica, Borca and Smederevo, as well as other office and retail facilities built in line with the latest world standards.